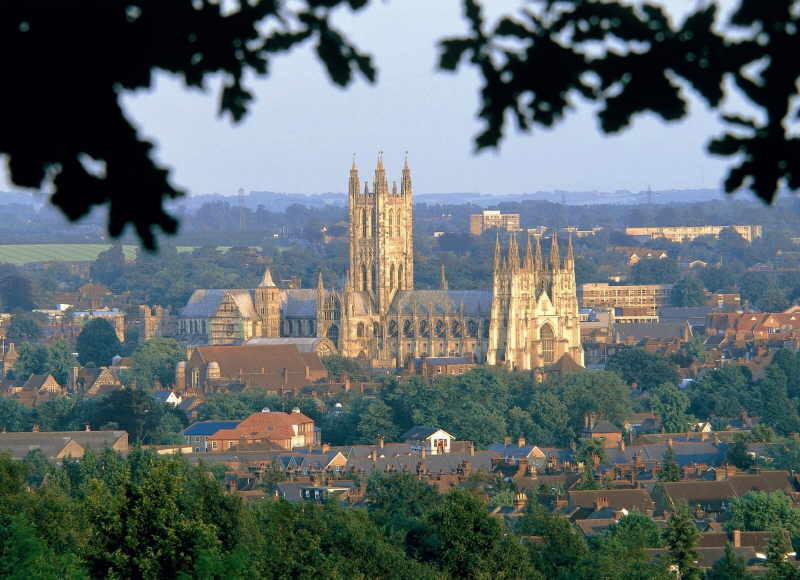 The burgeoning wine industry in Kent is creating a tourist trail which, it hopes, could one day rival that of the Napa Valley, California. Seven vineyards, hotels and restaurants are joining forces, offering the chance to enjoy the best the county has to offer. 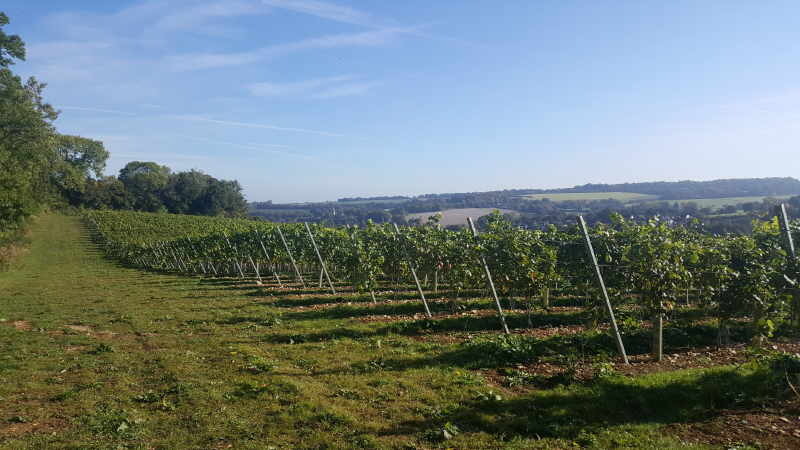 I was given a sneak preview of the Wine Garden of England trail, starting from Canterbury and visiting Simpson Wine Estate, just a few miles out of the city. Getting down there from the North West was easier and quicker than you might think… train from Manchester to Euston, a short walk to St Pancras, then a high speed connection which then took less than an hour. It was less than four hours in total, factoring in leaving time for the walk and change of trains. 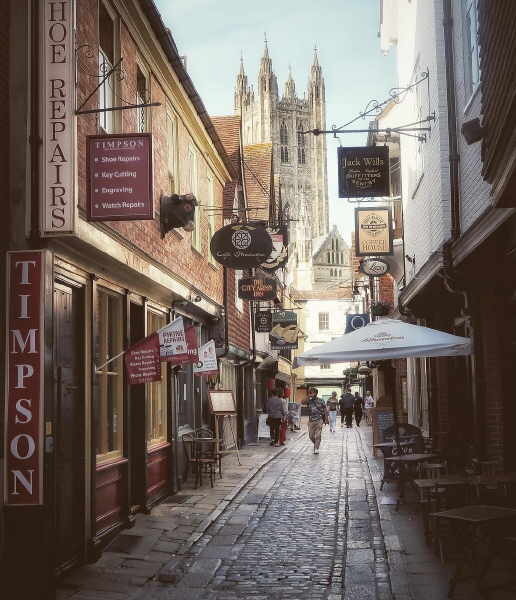 Canterbury is worth a day on its own, to wander around its cathedral, narrow streets, medieval buildings and city walls – and enjoy a pint in one of its centuries-old pubs. 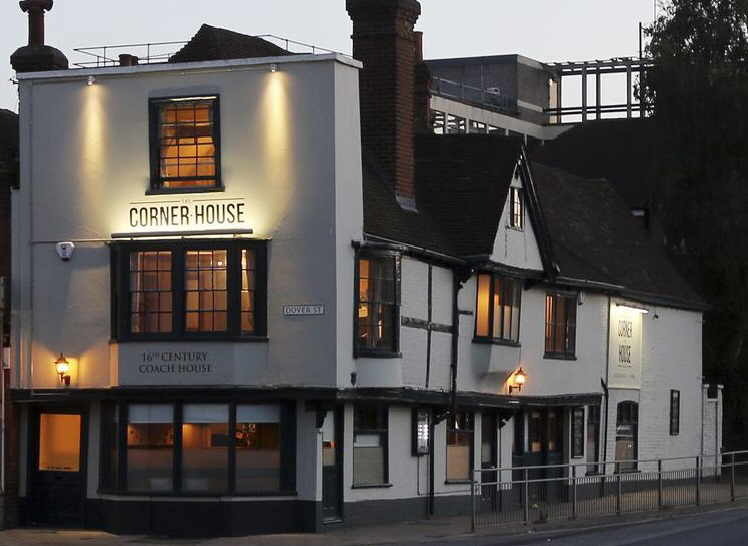 I stayed at The Corner House, a former inn which has been revamped and turned into a ‘restaurant with rooms’, while retaining its old world charm. The 16th century building has bags of character, including winding staircases and exposed beams … but watch the low ceilings. Situated on the edge of the city centre, it was a short walk to the main attractions, and my second-floor room was comfortable and spacious. The next morning, a short taxi ride took me to Barham, a sleepy village of brick cottages and narrow lanes, where Simpsons has created its winery. 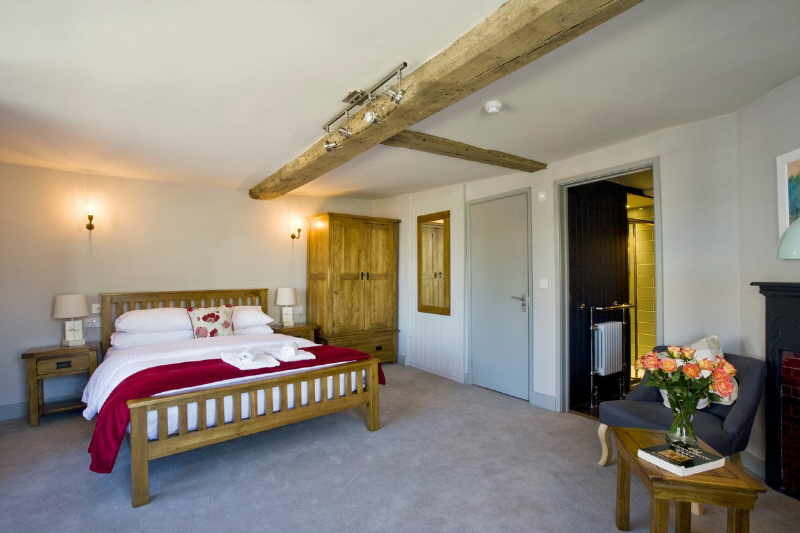 It may have been created in former pig sheds – but no expense has been spared in converting the accommodation. The upstairs tasting centre, with a copper-fronted bar, overlooks gleaming stainless steel tanks in the main production area through floor-to-ceiling glass windows. 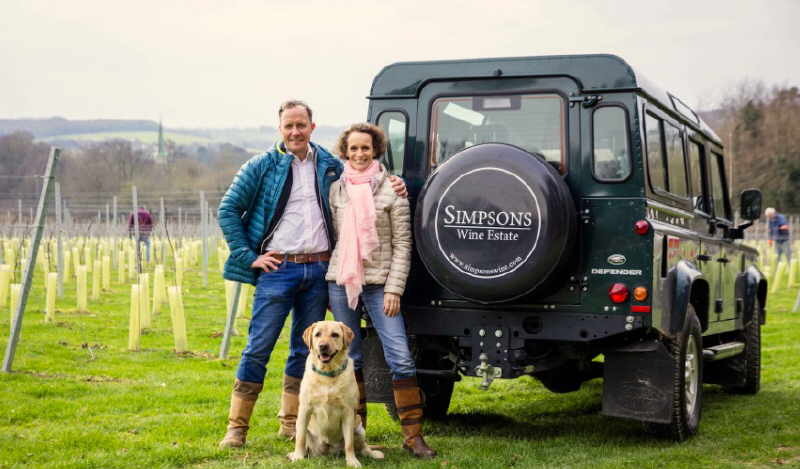 Husband and wife team Charles and Ruth Simpson only established the business in 2012, after spending years working in the French wine industry. They still retain a vineyard on the other side of the Channel. 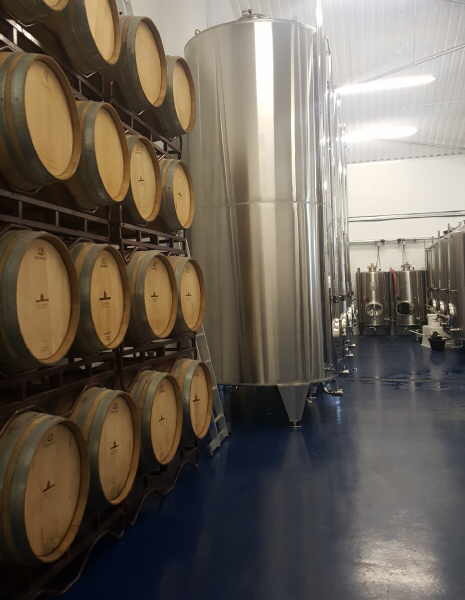 Thanks to production methods which include crushing grapes in a de-oxidised chamber to maintain freshness, their wines are refreshing and pure, with plenty of flavour. This year is the first time the couple have produced a sparkling wine, having previously made still varieties, such as their Roman Road Chardonnay 2017, which has a smoky aroma, followed by flavours of lime and other citrus fruits. Simpson Estate’s sparkling rose, which is about to be launched, has a creamy flavour, with hints of strawberries. The secret of the flavour is all beneath your feet. ‘The chalk soil here is exactly the same as in burgundy and Champagne,’ Charlie says. Apart from the de-oxidised grape pressing, the production process is the same as in the famous French regions. Grapes are picked by hand from two southerly and south-eastern facing slopes within a mile or two of the winery. Although only small, Simpson Estate’s still wines are already gracing the wine lists of Michelin starred restaurants in Kent, and Bonham’s, in London. Visitors currently need to book in advance, but the Simpsons host tours throughout the year, ending up in their tasting room – which has an exit unique in the world of UK wineries… a stainless steel helter-skelter. ‘We also do events including combining wine and chocolate tasting, or cheese and wine tasting,’ Mr Simpson says. ‘We’re also hoping to put on sessions where people can come and have a go at blending their own mixture of grapes to produce the perfect wine.’ Next year, the Simpsons plan to open to the public most days, so people can drop by and purchase wine from their range. One of the first events put on as part of the Wine Garden of England Initiative will be a wine festival in Rochester, next month. 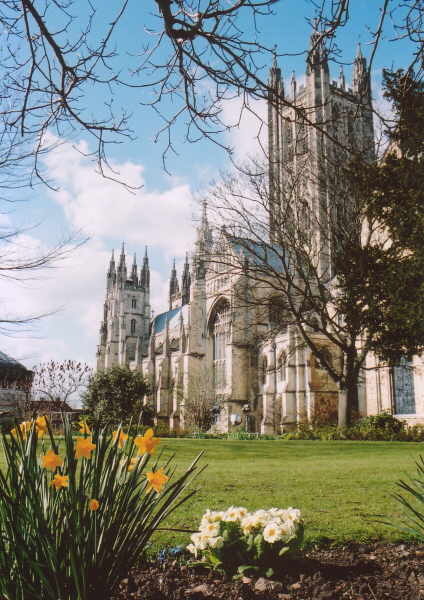 It will begin with evensong at Rochester Cathedral on Friday November 16, blessing the year’s harvest. 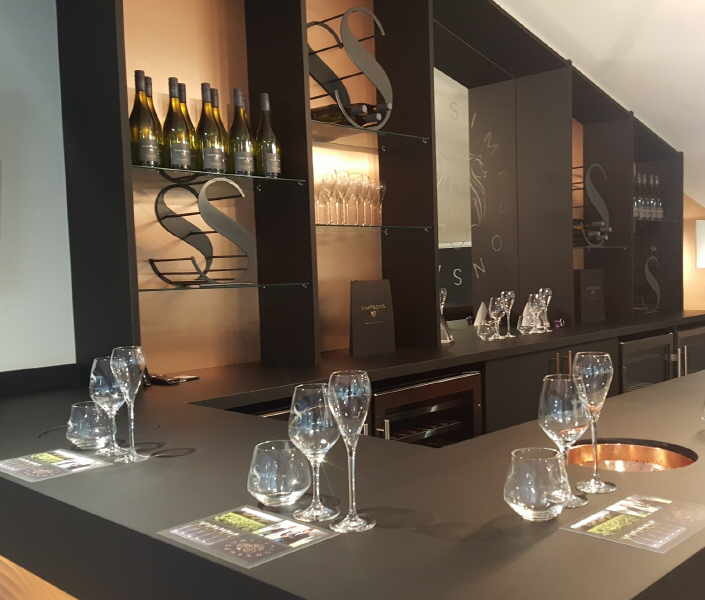 The next day, there will be public tasting sessions hosted by Simpsons and the other six wineries involved, Chapel Down, Biddenden Vineyards, Domaine Evremond, Gusbourne, Hush Heath Estate and Squerryes. For full information about Simpsons Wine Estate visit www.simpsonswine.com. The website provides full details of forthcoming tastings and events. There are several websites giving information for people wanting the lowdown on Kent’s wealth of food and drink producers. Meanwhile, Kent Food Trails (www.kentfoodtrails.co.uk ) includes visitor information about fruit farms, breweries and cider producers, cheese makers and distillers – as well as vineyards. A further website, www.producedinkent.co.uk , details where to buy local produce and artisan crafts, as well as places to eat, drink and stay.